← How to Plan Valentine’s Day for Your Girlfriend? The month of February is here and the much-awaited Valentine’s Day is knocking at the door. It is the day of love that makes the entire month so vivacious, beautiful, and hopeful. If this is your first Valentine’s Day with your girlfriend, then we understand the pressure must be quite high to make it the most romantic day of the year. You must be wondering about making a good impression? What type of Valentine’s Day gift will be perfect? How much to spend? Where should you take her to dinner? And a million other questions must be ringing in your head. 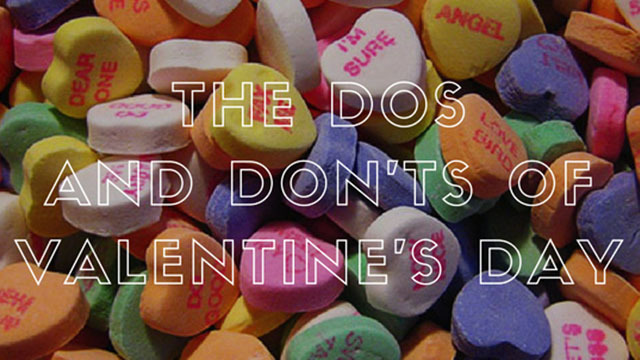 We believe you must be in dire need of a few tips to make it through Valentine’s Day. Therefore, we are here to lighten up the situation a bit and let you know about do’s and don’ts for your first Valentine’s Day together. The love couples always have grand expectations from Valentine’s Day. But your expectations should be realistic about the gift that you will receive or the gesture that your partner will make so that you do not end up getting disappointed on V-Day. It takes two to make a thing go right. Therefore, it’s crucial to talk to your partner and decide the way you two want to celebrate Valentine’s Day. Do pay attention to what your partner wants and find a happy mid-way that you both feel comfortable to celebrate the day of love. You need to be very particular about choosing a gift. We are not asking you to pick the most expensive gift in the store. But it should be unique & thoughtful enough to show your partner that you actually put some thought behind it. If you cannot think of anything special, you can always go for classic flowers and chocolates for Valentine’s Day. Valentine’s Day is your golden chance to say those three magical words to your partner in a unique and creative way. If you are really good with words, then you can use your romantic vocabulary in a handwritten love letter. Or hide love notes in places where your partner can find them. If you have plans of going to a fancy restaurant for dinner date on Valentine’s Day, then please make reservations ahead of time. It will save you a lot of time and the waiting woes at the last moment. Don’t let one single day define your relationship. It is possible that you and your partner might have a different take on Valentine’s Day. But that doesn’t mean your relationship is not special or it’s not strong enough. Do not go out of your way, overspend or put yourself into debts just because you want to make a good impression. It is important to know your limits and make arrangements for Valentine’s Day keeping your budget in mind. If it is your first Valentine’s Day with your partner that means you two have been dating for a very short time. So it is suggested to keep commitment out of the picture. You may want to wait a little bit more for that! Just enjoy the precious moments together and create memories to cherish in the coming time. Valentine’s Day is all about declaring your undying love for your partner. But too much of a PDA may leave either of you feel uncomfortable. Don’t overdo PDA and just make your partner feel loved and comfortable. We understand being together with your beloved on Valentine’s Day calls for a grand celebration. But one thing that you should mainly avoid is to get DRUNK on Valentine’s night. You might be a little nervous but the alcohol wouldn’t possibly help. Valentine’s Day is all about how you celebrate it with your partner and make it special. But don’t take too much of pressure, just do everything with your heart and you two will definitely end up having a fun time together.